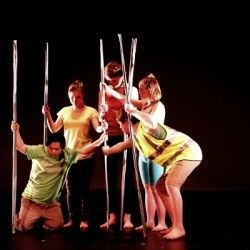 Anjali Dance Company is committed to developing the talents and creativity of people with learning disabilities. We create and support activities that contribute to the advancement of opportunities in dance for people with learning disabilities. We have exceptional experience, skills and knowledge which we have acquired and developed over the past 20 years. We are committed to sharing our knowledge and expertise as widely as possible through our comprehensive and well-planned education programme among students, professionals and the public, both in the UK and overseas. Anjali’s Education Programme is delivered by a dedicated and experienced teaching team which mostly consists of dancers and workshop leaders who themselves have learning disabilities and is the first of its kind in the UK.